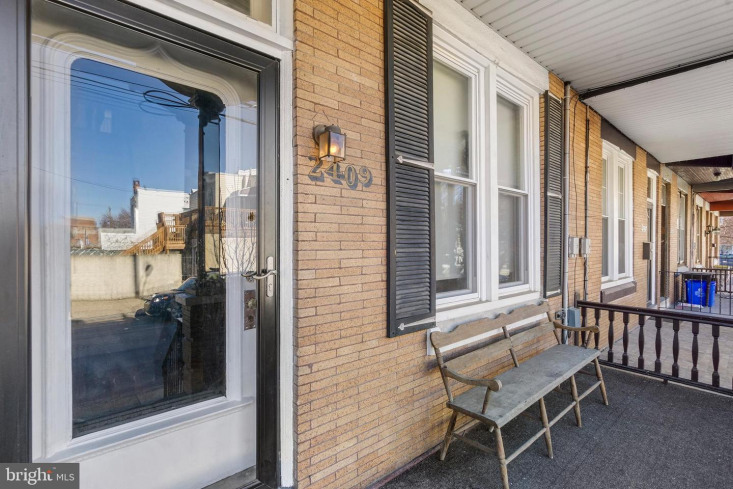 Welcome to 2409 Tulip St. You'll notice this gorgeous Fishtown renovation, has retained much of its original charm and character. 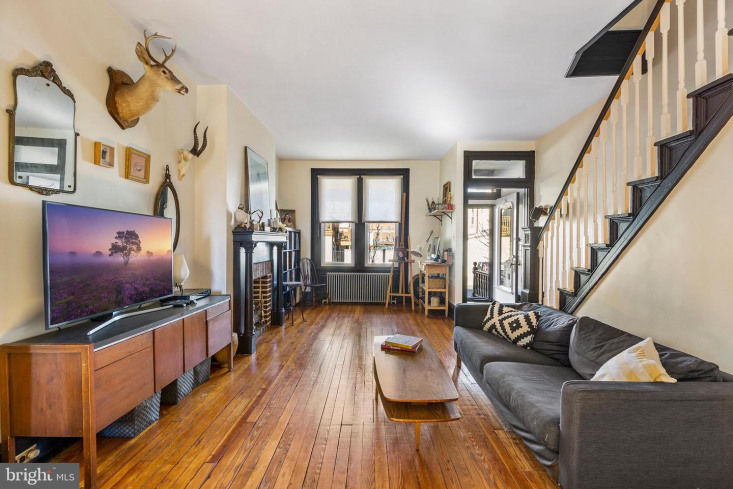 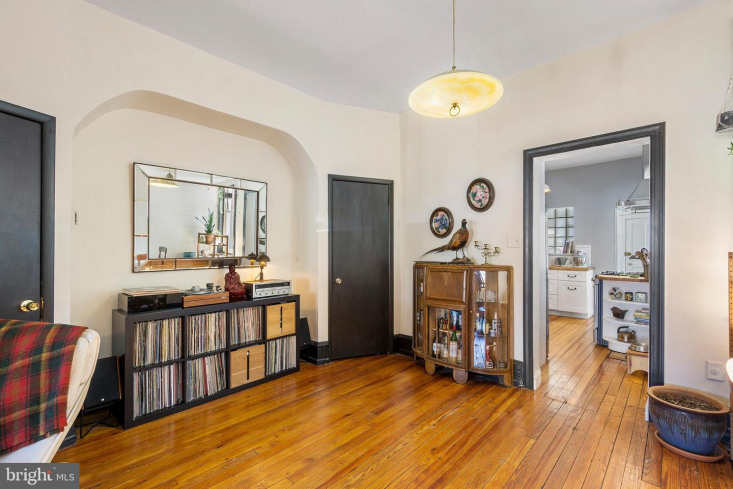 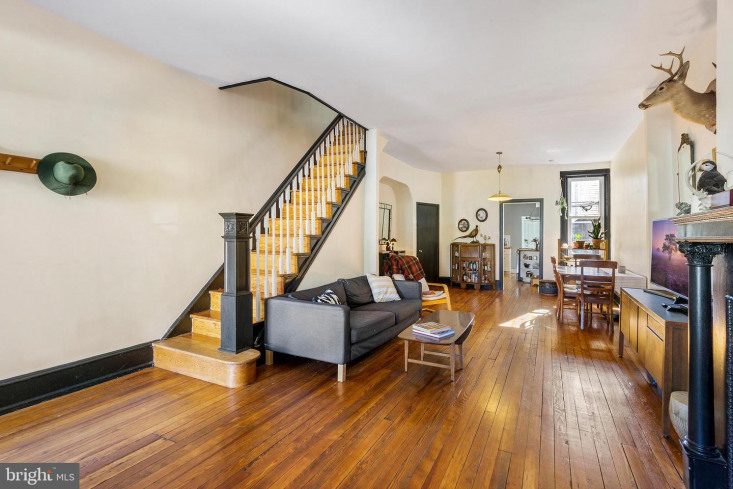 From the front porch, to the tiled vestibule, this home features: refinished wood floors, high ceilings, transoms, original mantle, staircase baluster detail, stained-glass window, and leaded glass skylight, all mixed with modern flare. 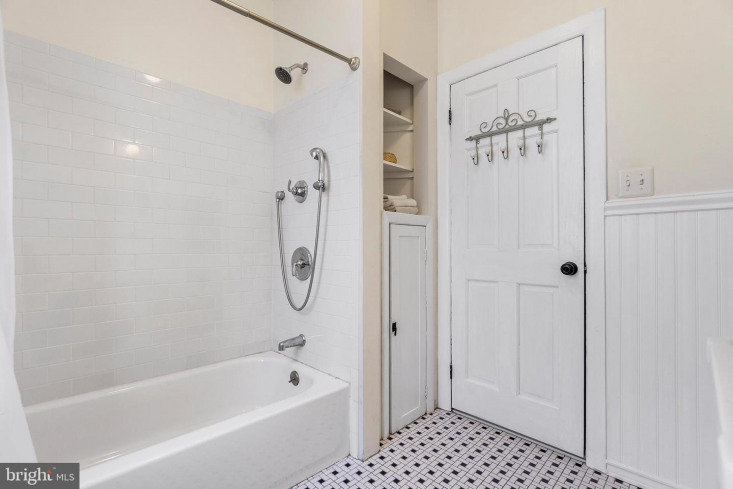 The whole home carries a neutral color palette, making it perfect for any new buyer to customize to their taste. 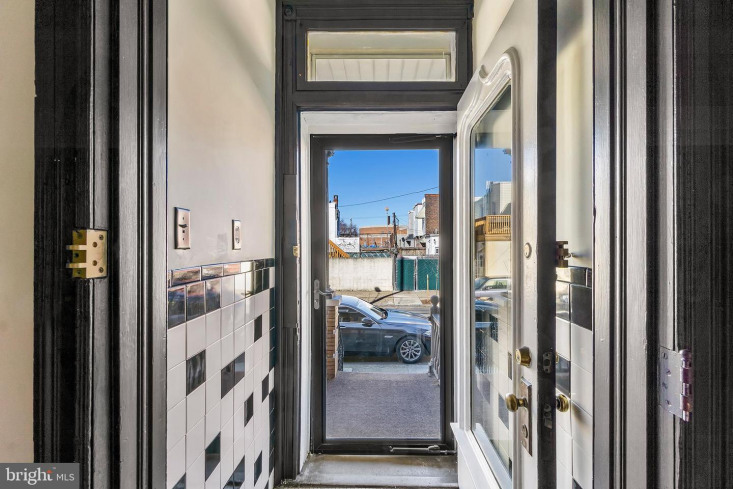 Enter through the black and white tiled vestibule, into the large open living room and dining area. 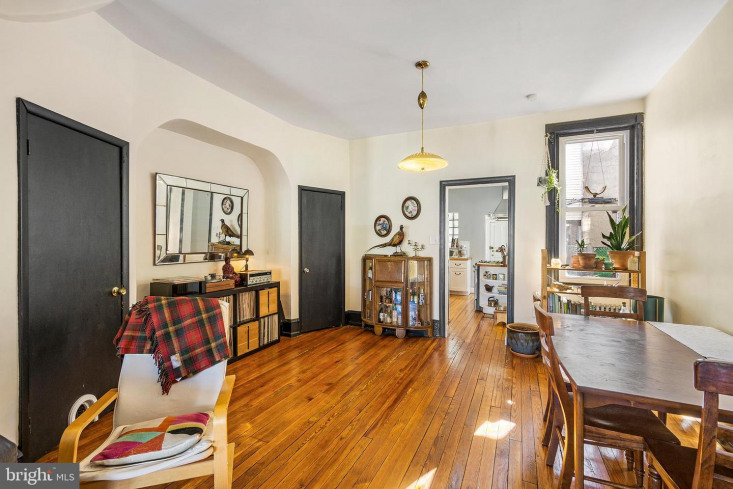 Two large windows in the front, as well as the overhead door transoms, fill the space with natural light. 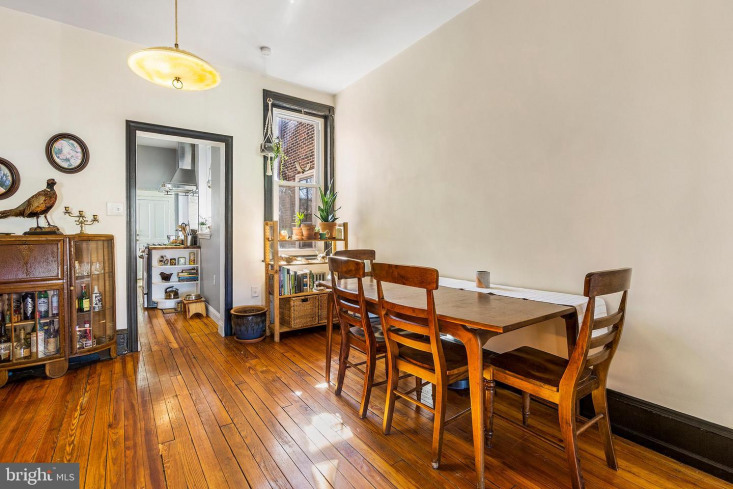 The large open dining area has another window, curved plaster detail, and pendant light. 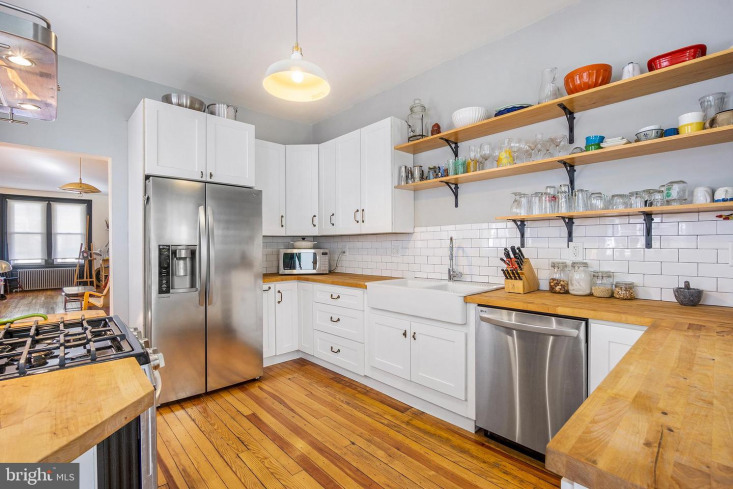 Beyond the dining area is your dream kitchen. 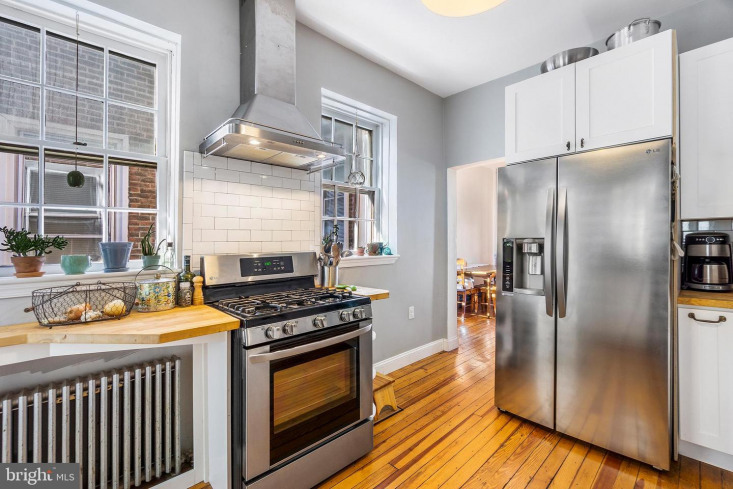 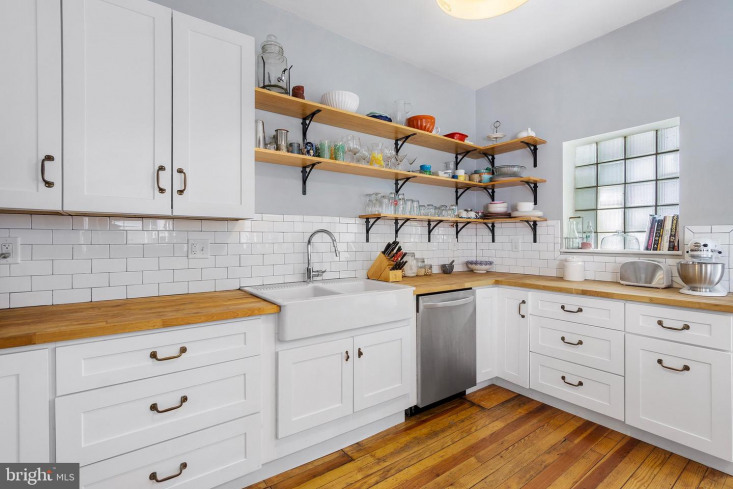 The refinished wood floors continue through the kitchen, with white solid wood cabinets, butcherblock counter-tops, open shelving, white subway tile backsplash, farmhouse sink and stainless-steel appliances. 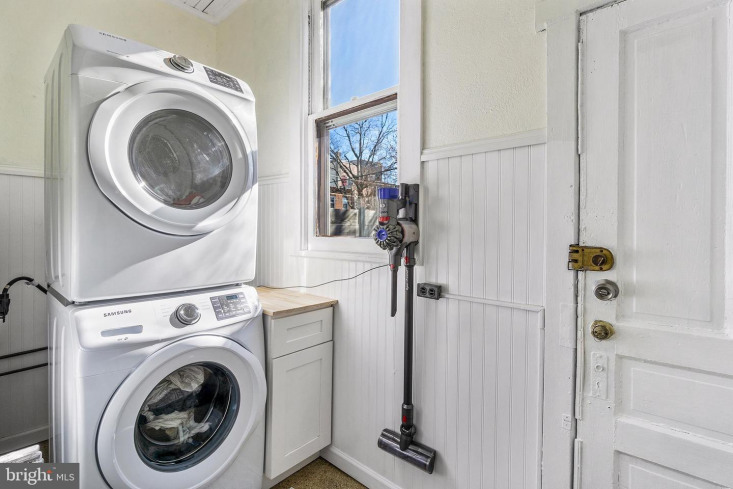 There is a laundry room just past the kitchen, which is plumbed & ready to be a half bath, if you chose to do so. 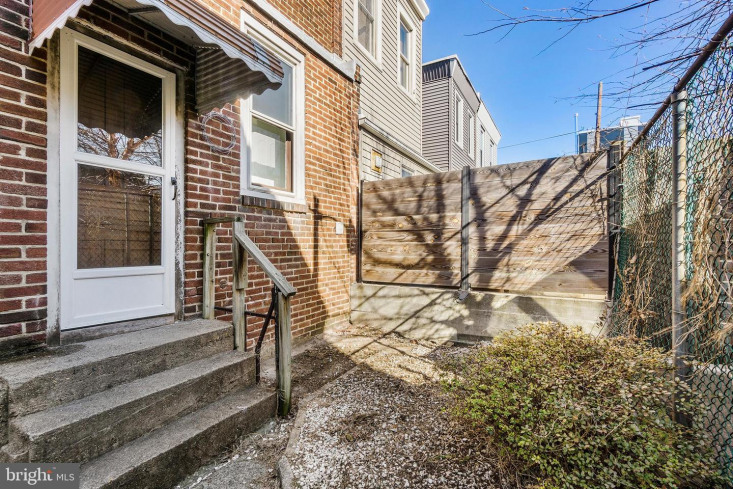 There is also access to the backyard which is ideal for grilling and chilling on a warm sunny day. 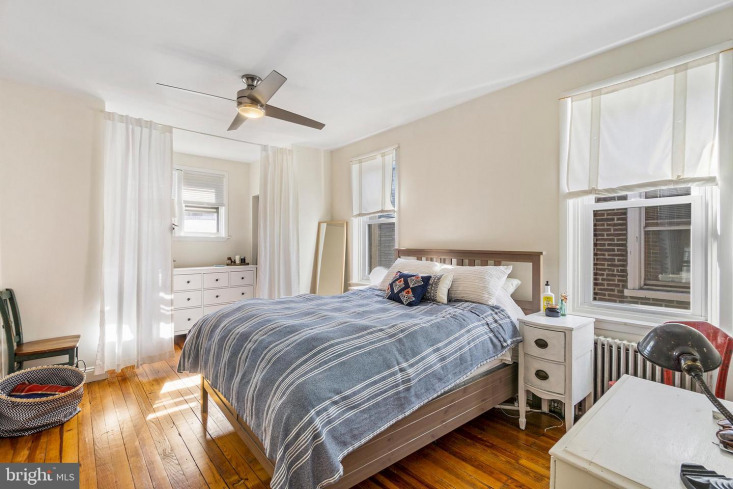 The second floor has 3 nice sized bedrooms and a full bath. 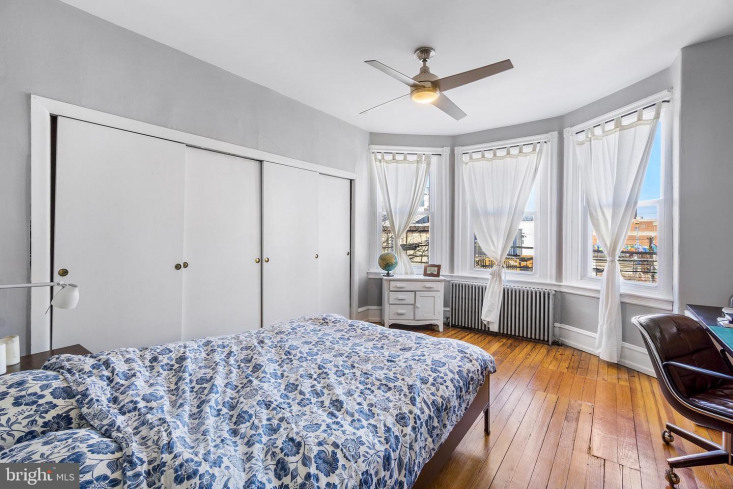 The front bedroom has three large windows and an entire wall of closet space. 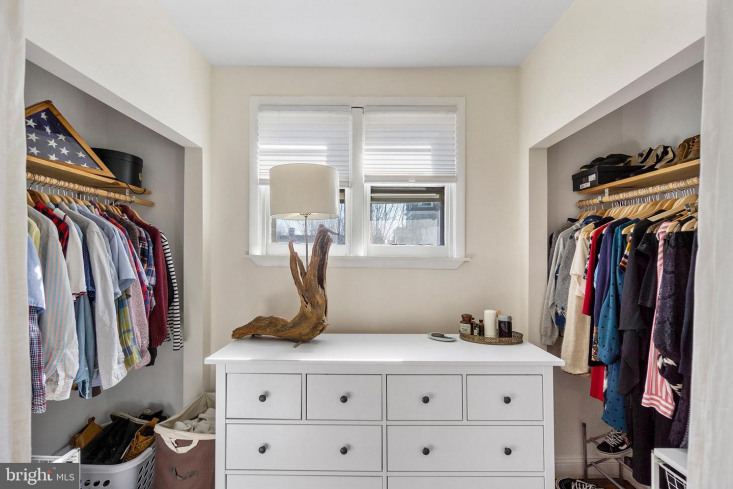 Back bedroom has custom inset wardrobe area and closet. 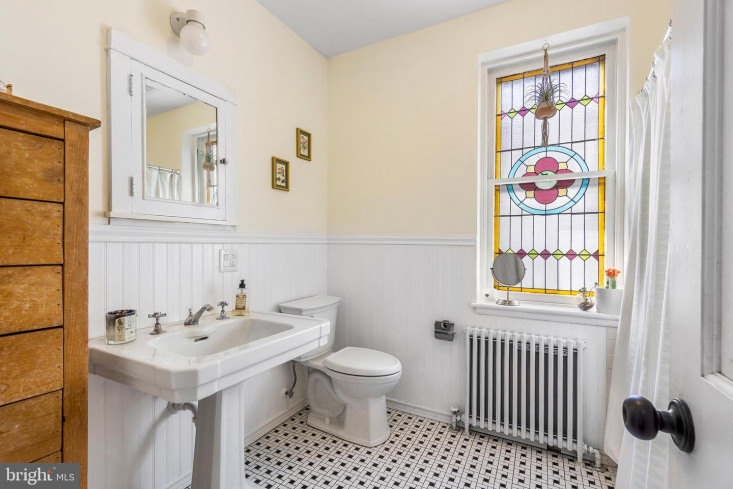 The full bath has a gorgeous stained glass window, linen closet, pedestal sink, inset medicine cabinet and white tiled shower with dual showerhead option. 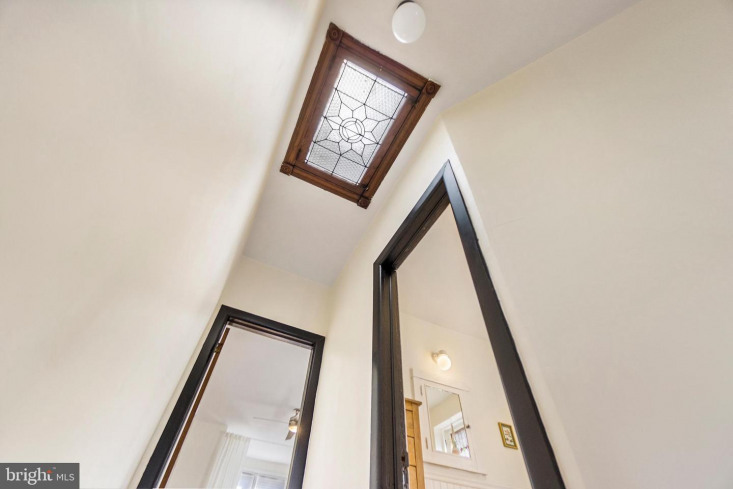 Between the bathroom and back bedroom is leaded glass skylight, adding lots of light to the hallway. 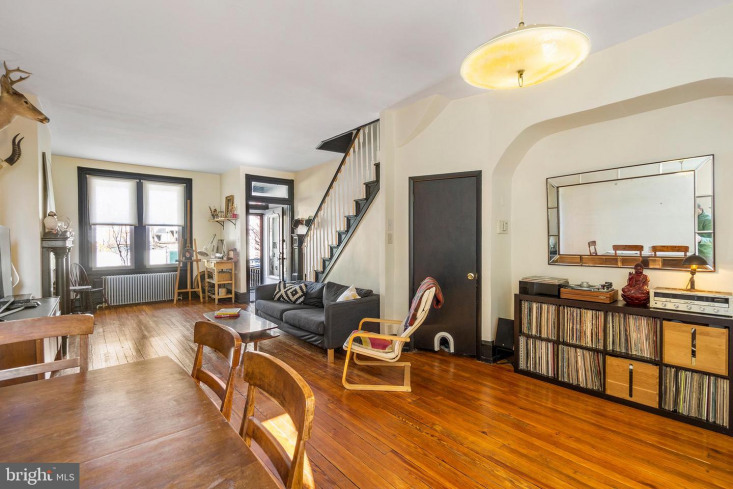  There is a full basement which is great for storage or could be renovated as an additional living area. 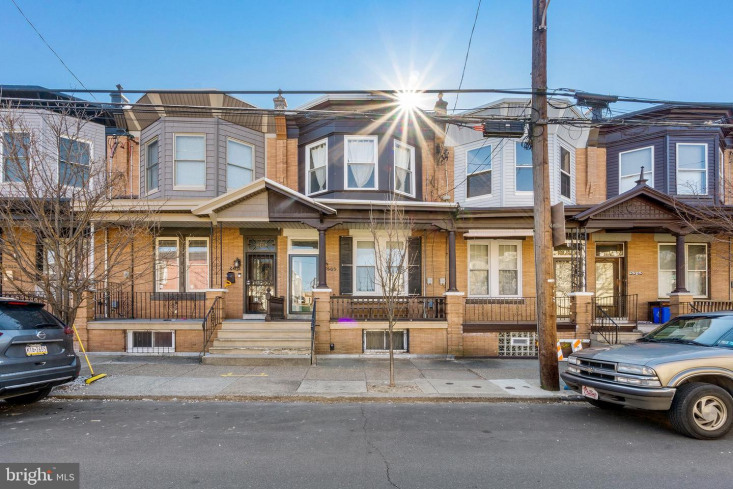 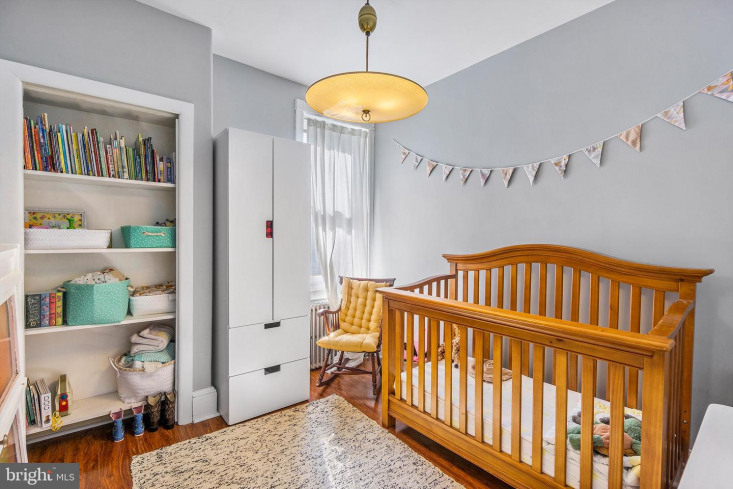 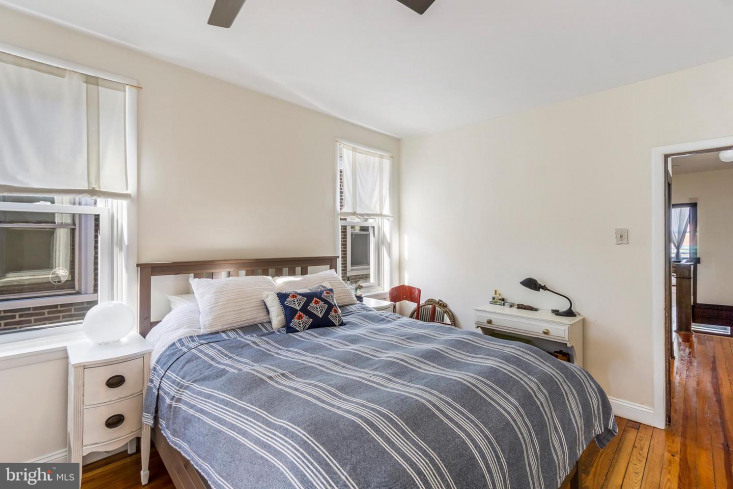 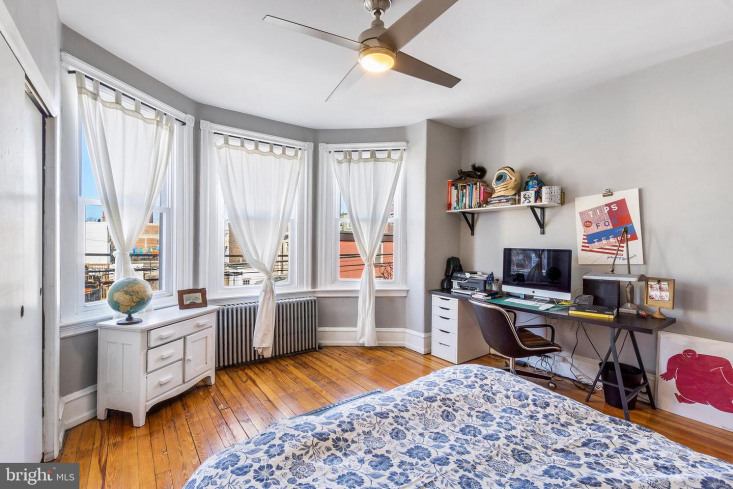 This home is situated on a quiet block close to all that Fishtown has to offer. 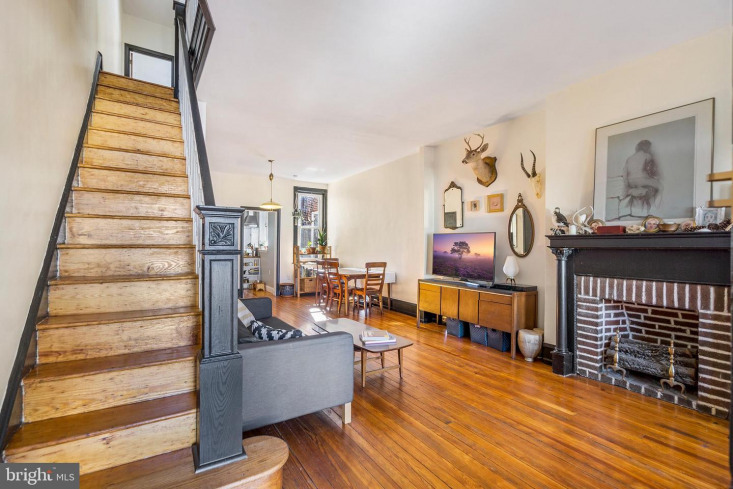 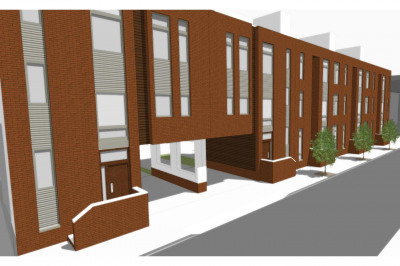 Just off York, easy access to I-95, public transportation, and all the restaurants, bars and cafes, such as Martha, Loco Pez, Medusa, Pizza Brain, Cook and Shaker, Memphis tap, and so many more. 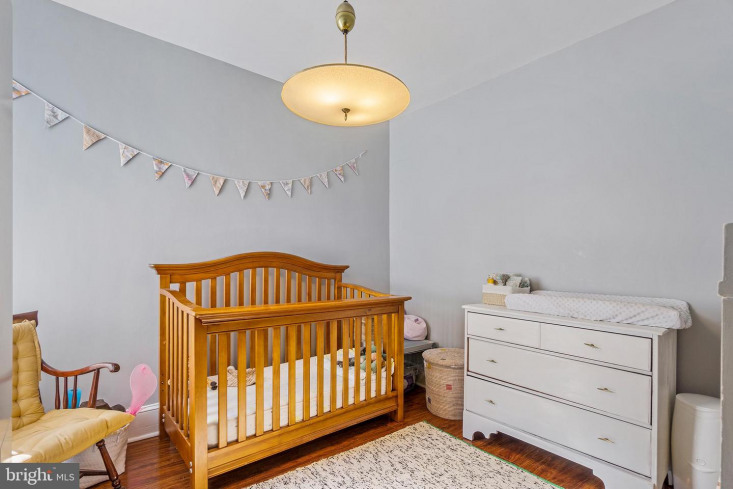 Make your appointment today !